While GPS devices are being incredibly common these days, if you have a smartphone with you, then there’s no real need to use another device that does the exact same thing. In fact, there are a number of reasons why using your smartphone is actually much better than having a GPS device. It’s Cheaper – the cost of a GPS app on your phone will run you anywhere from $50 to completely free (it depends on how many features you want). It’s an Anti-Theft Device – You don’t have worry about people breaking into your car for your GPS if it’s in your pants pocket. Flexibility – Some GPS devices are more accurate than others. With apps you can learn which one is easier to use for you. 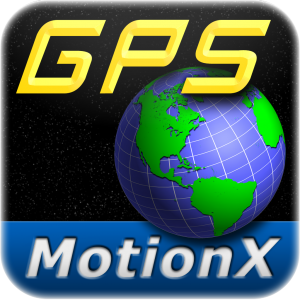 MotionX is ia multipurpose GPS app that gives you turn by turn navigation, as well as backpacking trails and more. Thanks to a recent update it has a big, beautiful display, lots of social media integration, compass, as well as lots of storage for saving waypoints and more. MotionX uses Google Maps in their app. $1.99 in the iTunes Store. 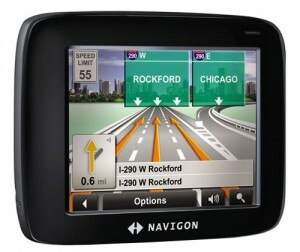 Navigon used to be a GPS Hardware company, but then pulled out to focus on their GPS app instead (apparently they could see the future coming!). The app has beautiful, detailed 3-d maps and an intuitive voice command. It stores map data locally for smoother operation as well. It’s expensive, but is hands down better than any budget-GPS device out there. There’s a reason Google bought out Waze. Despite already having an expansive map system of their own, Waze brought with them a large and enthusiastic community that loves to share real time data like traffic, accidents and roadblocks. That was google maps’ biggest drawback. It’s a fun, care free app that’s as detailed as Google but will give you all that useful information I just mentioned. And the best part? Free. Free in the iTunes Store. There you have it. Anything I missed……let’s see here. Google Maps. It’s the original, and the best. The turn-by-turn navigation has been added to iOS (it used to only be on Android devices). It’s free, and it works.